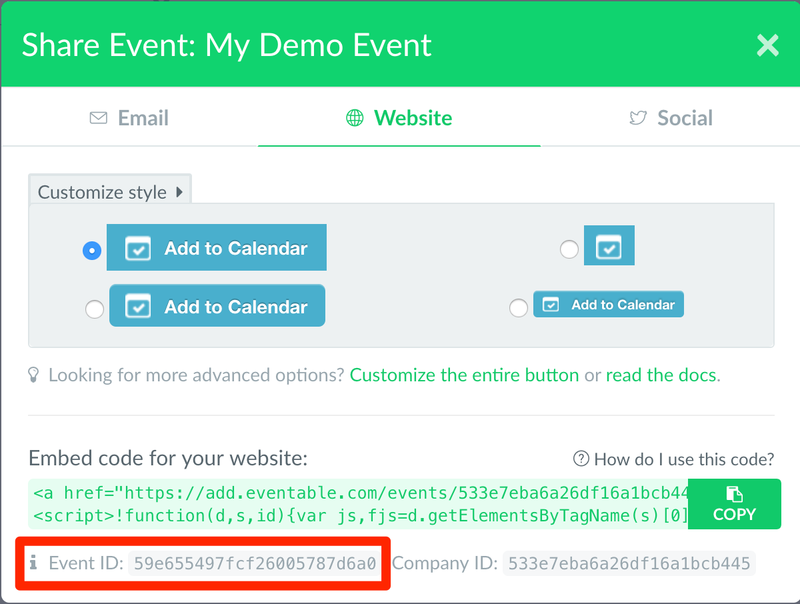 When integrating Eventable with other applications, you may be prompted to enter the ID of your event. This guide will show you where and how to find it. Go to the Events page of your dashboard and click Share Event next to the event you would like to use. In the Share Event pop-up, select the Website tab. The ID of your event will be displayed at the bottom in gray. Note: All IDs are 24 characters long and start with the number 5.